The D-Plus setup with Reynolds 66 with Limus in the front and Griffos in the rear is like dialing your sleep number to 84 and firmly floating over the single track. 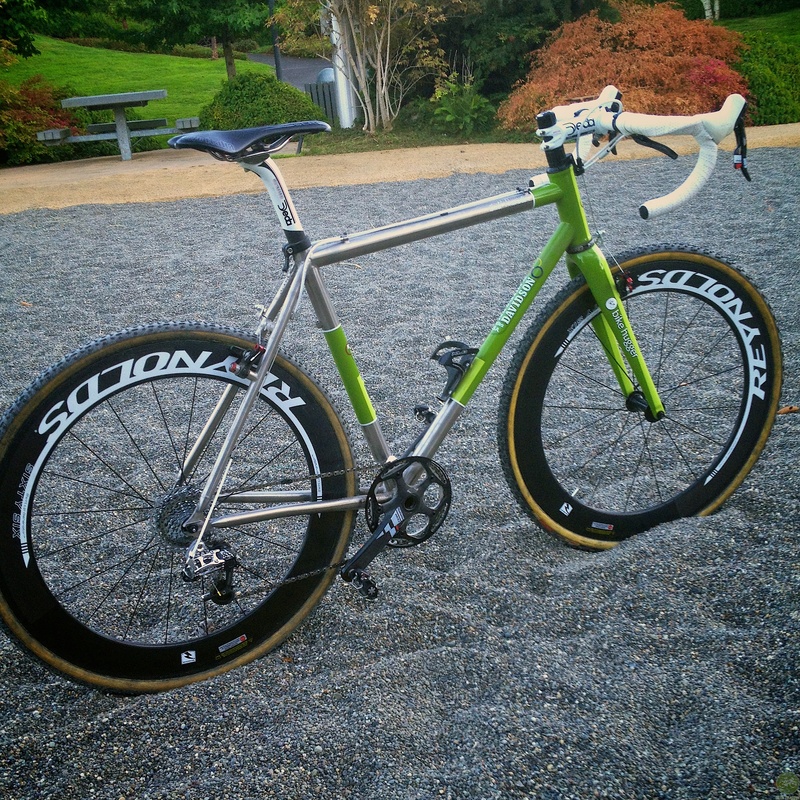 A dream CX bike and ride. Those stiff rims push supple sidewalls into the dirt and the tread gripped the grass, as I cut around trees before diving into the gravel pit. Made it across grinding a 1 x 10, 44 X 34 gear, like a tractor. See more iPhone photos of the D-Plus and high-rez lightboxed on our G+ page.